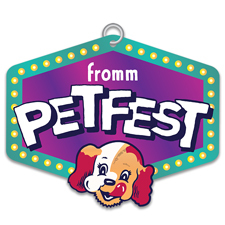 GPA-WI is participating in the 2018 Fromm Petfest in Milwaukee! This pet-friendly and family-friendly festival celebrates pets of all shapes and sizes. At the festival, both two-legged and four-legged guests can shop, enjoy food and drinks, and take part in several exciting activities — like agility training, costume contests, dock diving and so much more. With GPA-WI’s booth at the Fromm Petfest, the Milwaukee community can learn how “greyt” greyhounds really are! When you attend Petfest, you can catch up with other greyhound lovers, meet greyhounds in person and help spread the word about greyhound adoption. Parking and admission are both free. Contact Sarah Ross, the Milwaukee Area Events Coordinator, to volunteer at this event.